The 20th Anniversary Celebration Banquet was held on Thursday, December 20, 2012 at the Ralph Mark Gilbert Civil Rights Museum Annex. Chairman Pete Liakakis, Savannah Mayor Edna Jackson, former Savannah Mayor Otis Johnson, County Commissioners, City Council members, community leaders came together to celebrate a milestone in Chatham County’s history. Music was provided by Nickel Bag of Funk, led by Chatham County Youth Commission alum, Leslie Adele. 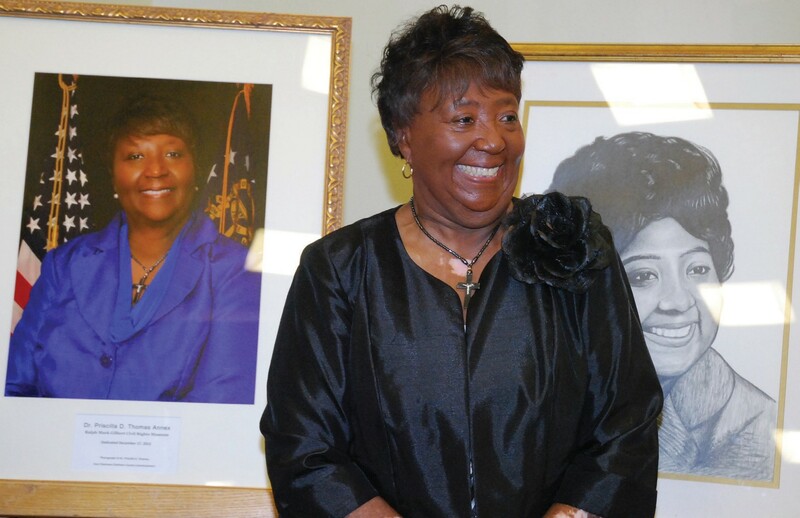 During this celebration, the Ralph Mark Gilbert Civil Rights Museum dedicated the Dr. Priscilla D. Thomas Annex. The Chatham County Youth Commission was established in 1992 by Chatham County Commissioner Priscilla D. Thomas and the Chatham County Commission. Since that time, the Chatham County Youth Commission has received national attention as a best practice for civic youth engagement.